17708LF-SS-ECO is rated 4.2 out of 5 by 6. Rated 2 out of 5 by DonnaLasVegas from Great looking but not working so great. We installed 4 of these exactly 4 yrs ago. In less than a yr, the hot water flow on 3 of them, started to diminish and gradually got worse. As of today, my flow for the hot water is extremely low on 3 of them and I am getting an average flow on the 4th one. I had our plumber look at them for clogs, but lines were clear. He thinks they may need new cartridges and suggested I contact Delta. 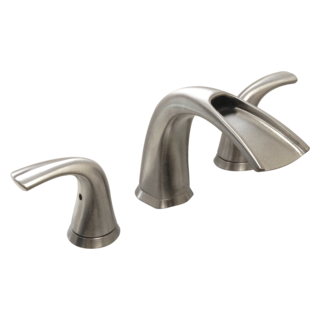 I am thinking of replacing them because I am frustrated with the minimal water flow, but I love the look on these and I need tall faucets for vessel sinks. I expected that these would perform better for more than a year or two.... this has not stood up to Delta's quality on performance. Rated 5 out of 5 by Hals from Perfect for our tropical theme powder room! 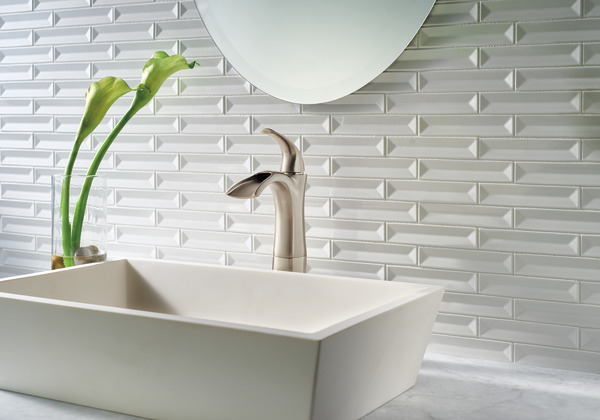 We love the way this faucet looks and works in our powder room. The waterfall like flow looks at home in our subtly tropical themed room. I do have some issues with hard water stains forming at the top and bottom of the water flow area though, trying to find just the right cleaner to not harm the finish. 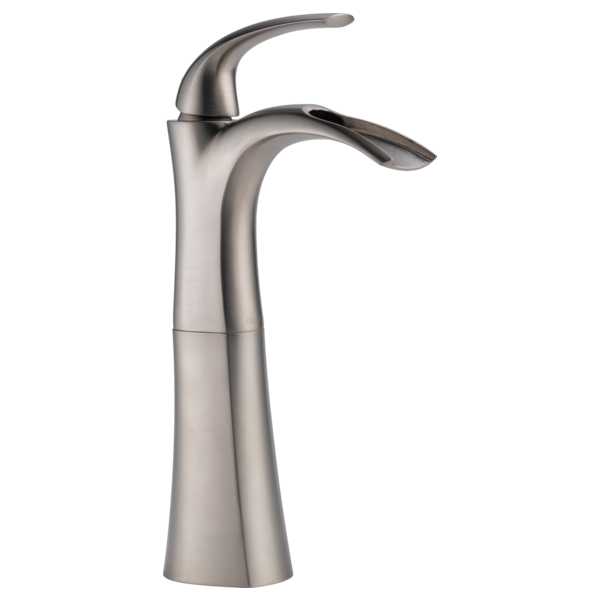 Overall, a great quality faucet. Rated 5 out of 5 by SheFindsMeHandy from Like the styling I purchased this faucet because of Delta's reputation for quality and the styling of the unit. So far the function has been great and the looks are just what I wanted to go with our new bathroom vanity. Rated 5 out of 5 by John49 from Perfect faucet for our needs The design and functionality of this faucet was what we were looking for. Water flow volume is just what we need. Easy to install the faucet. Working good so far. Only installed it a few weeks ago. Rated 4 out of 5 by Ely20 from Seems well built. Like the design. The waterflow is a little low. Like that it has lifetime warranty on parts. How can we remove the riser for use with an undermount sink? How do I remove the flow restrictor? I don't step by step directions for doing so in the manual and I'm afraid of breaking my faucet. Not planning on using a vessel sink. Will this faucet work with a standard sink? What would the correct size and depth of sink be for this faucet? Is the Nyla faucet useable with a non overflow sink? I was told drains were sometimes an issue with non overflow sinks. That the faucet needed to be a non overflow also. the drain threads are about 1.5in long but with the nut, washer and rubber gasket there is about 5/8 in of usable thread left. Since i mounted my sink on top of the granite countertop, I'm about 1 inch short on thread to be able to screw in the grid. is there an extension with more thread? Can I use this faucet with an under mount sink? I remodeled our house and installed several Nyla 17708LF-SS-ECO. But we have one in a guest bath we would like to shorten / lower. Can I simply remove the bottom riser? Does Delta offer a countertop gasket that would then fit just the top half?